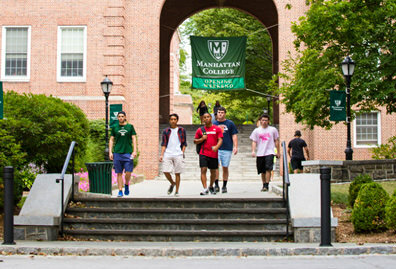 The next time you turn on a light, charge your iPhone, or raise the thermostat this winter, consider this: a Manhattan College alumnus is, at the highest executive level, part of the team helping to make those actions possible. Bruce Walker ’92 is the assistant secretary for the Office of Electricity, a subsect of the U.S. Department of Energy (DOE). He is one of several people that manage the nation’s power grid — a complex network of energy plants and substations that connects more than 450,000 miles of high-voltage transmission lines across the country. Walker — who also serves as acting assistant secretary for the federal agency’s Office of Cybersecurity, Energy Security, and Emergency Response — has a powerful job in other ways, too. In both roles, he interfaces regularly the U.S. Department of Homeland Security, U.S. Department of Defense, the Central Intelligence Agency (CIA), and several other groups that identify and evaluate vulnerabilities in the energy supply chain, in order to protect the electric grid from cyber threats. “Right now, cyberattacks are [the nation’s] greatest risk. As part of the U.S. intelligence community, we work to understand threats to the system, and find solutions,” Walker explains. Fulfilling such a high-stakes responsibility isn’t easy, but Walker, an electrical engineering graduate and Jasper, gets it done with plenty of support from behind. “I can’t understate the value of developing a good team, and listening to that team. Leadership is really important. You need to provide a clear direction and establish clear goals, and empower people to make it happen,” he says. A big part of Walker’s success in managing the U.S. power grid is his constant collaboration with industry leaders, such as the Consolidated Edison Company and other national energy providers, as well as with academia, state and local governments, and other energy sector stakeholders across the country. At Brookhaven National Laboratory, in Long Island, N.Y., and other national laboratories, the DOE is monitoring research and development programs that aim to keep the power grid resilient. 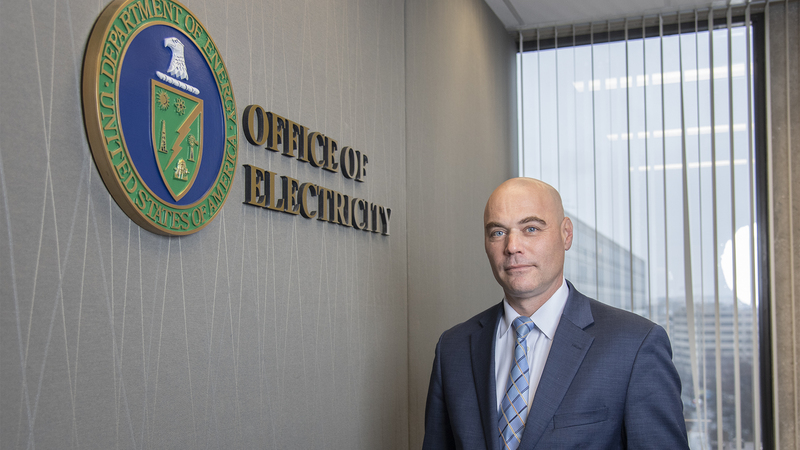 Walker has served as assistant secretary for the Office of Electricity at the DOE since 2017, when he was nominated by President Donald J. Trump and confirmed by the Senate. This was, unsurprisingly, a pivotal milestone in Walker’s career, which was already diversified to begin with. His expertise and leadership finesse derive from a range of experiences that includes engineering, government and law. Immediately prior to working at the DOE, Walker was the deputy county executive for Putnam County, N.Y., where he oversaw 20 departments and 650 employees, who strived to maintain the health and well-being of residents in the area in which he and his family currently live. He held that position for five years. 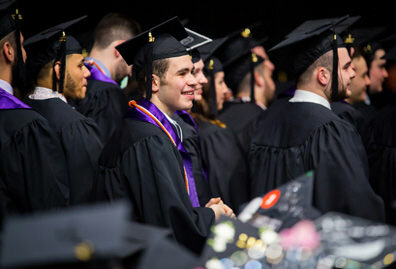 Walker’s government positions would have been difficult to predict when he was a Manhattan student, or even after he received his Juris Doctor in Law from Pace University. At the College, Walker was busy balancing his schoolwork with an internship at Con Ed, where he worked years, and later as director for corporate emergency management. In that role, one of his marquee accomplishments was leading the Con Edison Coastal Storm Plan that was successfully carried out during Hurricane Sandy in 2011. Walker is also the founder of Modern Energy Insights, Inc., a boutique consulting firm that solves power-related challenges in infrastructure. Reflecting upon his career achievements, Walker views his education at the College as a necessary foundation. 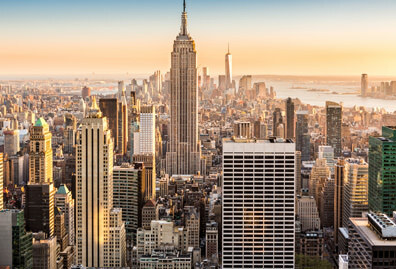 “Manhattan gives you a practical sense of how to apply engineering. It’s a nexus between education and the industries,” he says. Since graduation and even as recently as when he began at the DOE, the energy breakthroughs he’s seen have been significant — today, the U.S. is the world’s largest crude oil exporter, which is beneficial for other countries looking to break dependency on other sources. Seeing that development firsthand has been just one fascinating part of the job. “Energy freedom facilitates greater freedom and democracy worldwide,” Walker says. When he’s not on the job, developments related to Walker’s other important role — father — have also been significant. 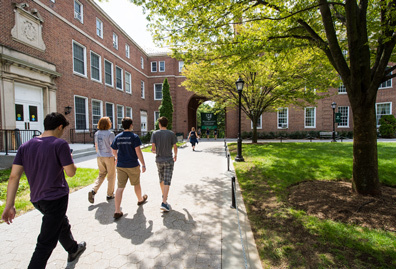 His son Bryce Walker ’19, a chemical engineering major, is graduating from Manhattan this spring, as his daughter Lahra heads off to college in the fall, with plans to study neuroscience. Regarding his own future, Walker is excited about what’s to come in the world of energy. The U.S. is currently the second largest energy consumer behind China globally, so the DOE continues to innovate the latest and greatest technology stateside. Although highly classified, the federal agency also is working toward nuclear energy advancements. In the future, Walker is confident these advancements will make Americans safer, and keep the U.S. ahead of the curve. “It’s a really interesting time to be working in energy. 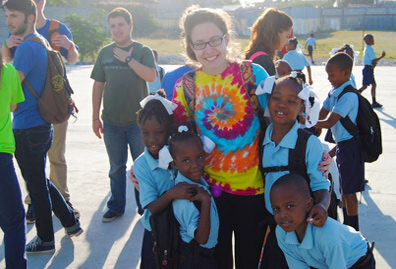 The field is growing at a much more rapid pace than when I was growing up,” Walker says. Read about the programs we have available in civil and environmental, electrical and computer, mechanical, and chemical engineering.